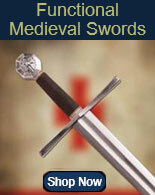 Ribbed Shell Swept Hilt Rapier Swords for sale are 50 ½ inches in all and weigh 48 ounces. 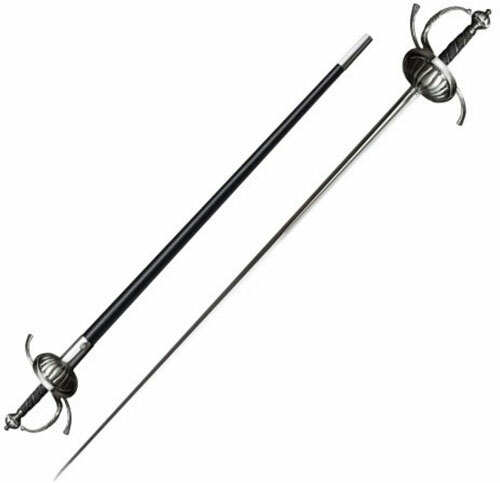 These popular fencing swords feature an elaborate swept hilt and a functional and fully sharpened rapier blade. The double edged 41 ½ inch 1060 carbon steel blade is long and narrow. The swords have a single wide blade fuller and a heavy ribbed pommel to ensure proper balance. The hilt has a traditional shell and multiple bars, quillons and a knuckle bow for hand protection. The 9 inch wooden handle features a grip of real black ray skin and wire. These swords include a genuine leather scabbard with polished steel fittings. 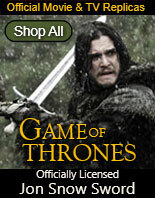 Buy the Ribbed Shell Swept Hilt Rapier Swords for $389.99.